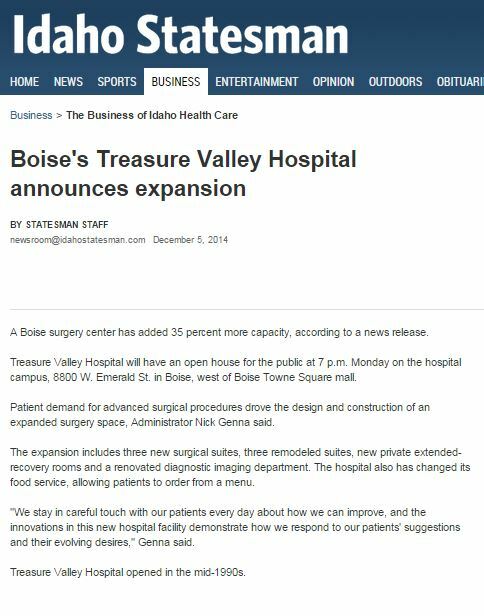 A Boise surgery center has added 35 percent more capacity, according to a news release. 8800 W. Emerald St. in Boise, west of Boise Towne Square mall. surgery space, Administrator Nick Genna said. allowing patients to order from a menu. 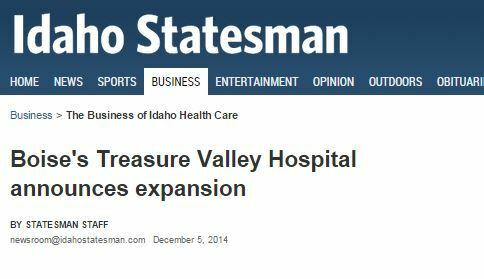 Treasure Valley Hospital opened in the mid­1990s.